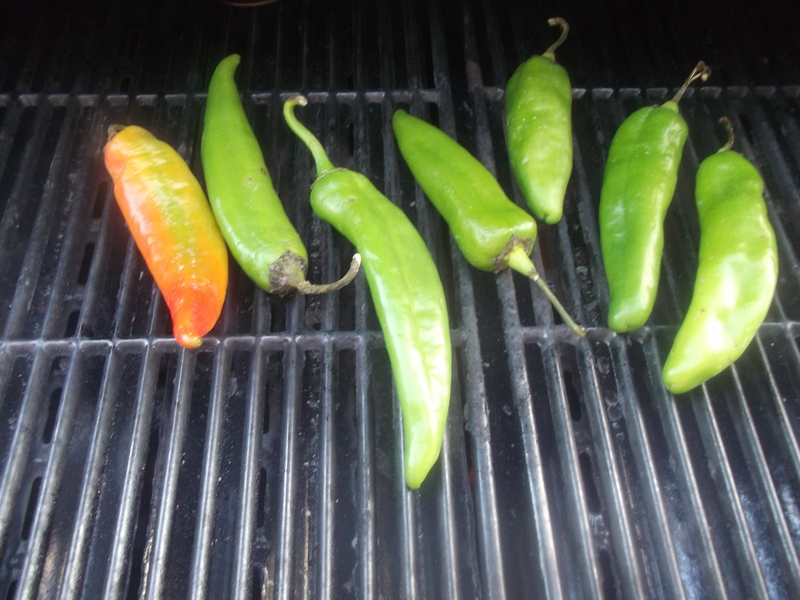 Nothing enhances the flavor and aroma of hot chile peppers like roasting them. 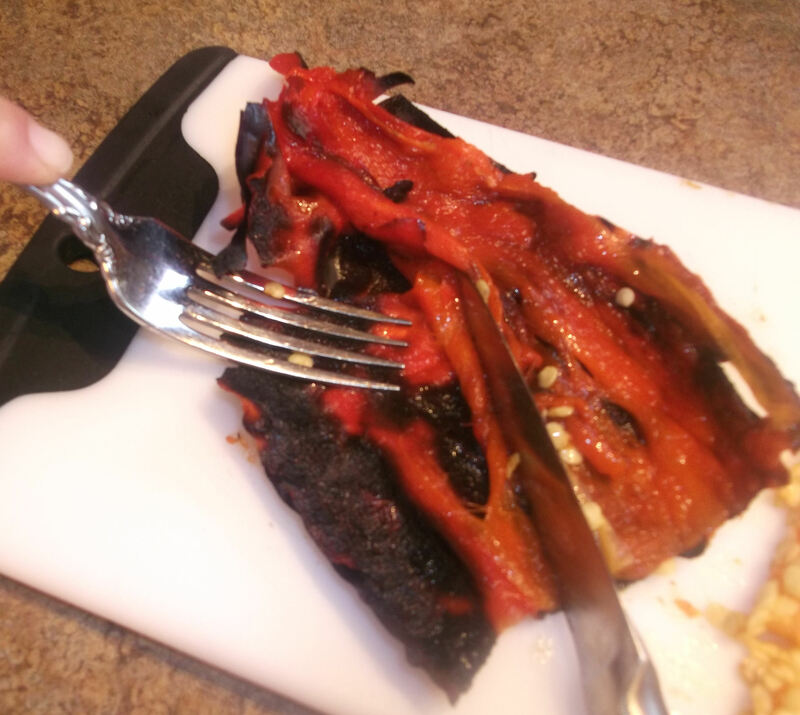 Here are a couple tips to make it easier to roast and peel hot peppers. Best of all, using this technique means you won’t have to touch any of the hot part of the pepper with your fingers! To roast them in the oven, follow the same steps as in my Quick Tip for roasting and peeling bell peppers, only roast the hot peppers whole. Don’t cut them yet. Heat up a grill pretty hot, 400-450 or even higher, and place whole peppers on the grill. Close the grill cover or not: it doesn’t really matter. 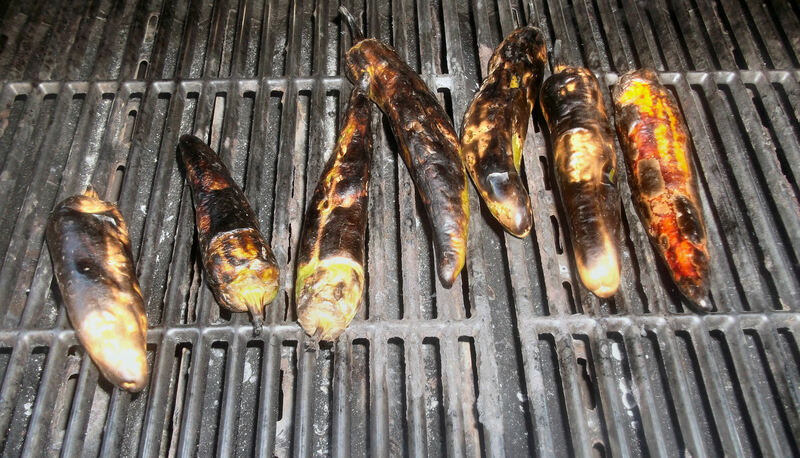 Allow them to bubble and hiss and crack, and once the skins blister and turn black (it will take several minutes), turn them over to roast the other side. 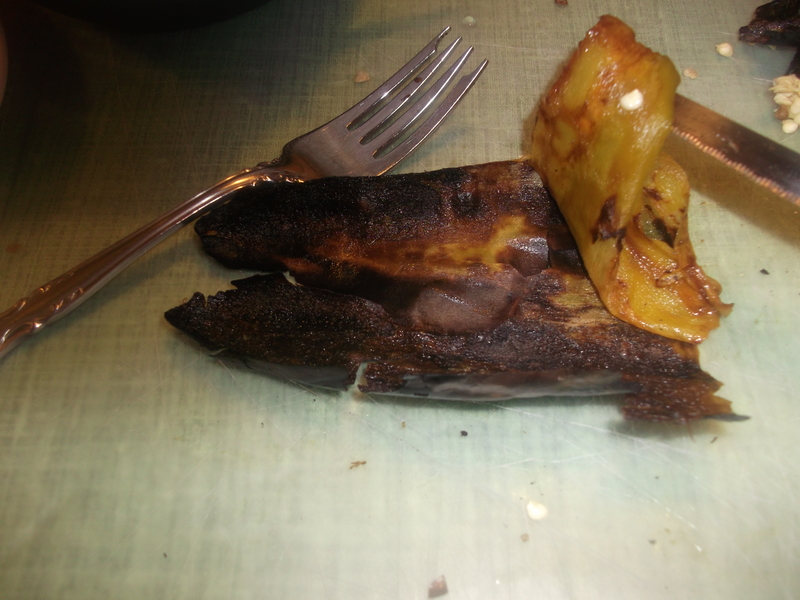 Try to get them gently blackened all around, but don’t completely scorch them, or the “meat” inside will scorch as well. 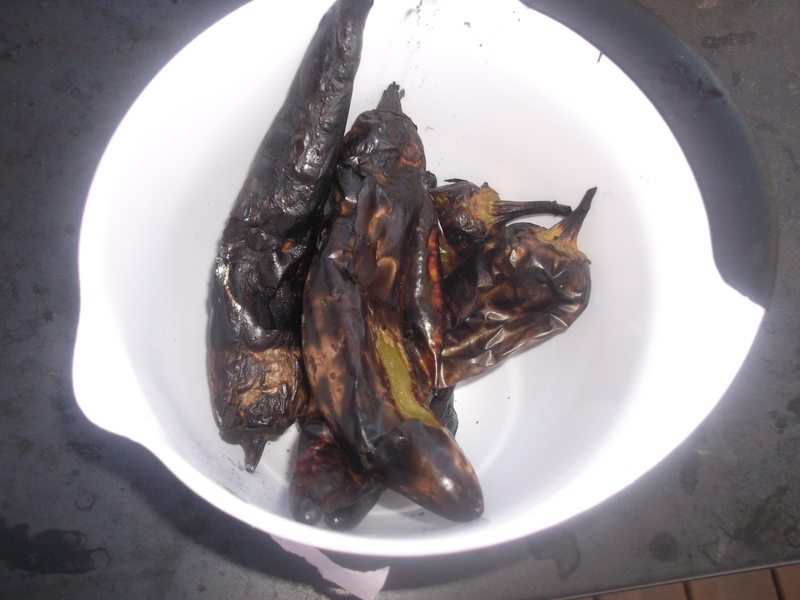 Once you have blackened the peppers on all sides, place them in a small bowl. Cover the bowl with plastic wrap or tin foil. The heat from the peppers will be trapped inside, which will steam the peppers and make them easier to peel. They should be ready to peel after about 20 to 30 minutes (or even longer, if you have other things to do or simply forget about them). Remove a pepper from the bowl and place it on a cutting board. 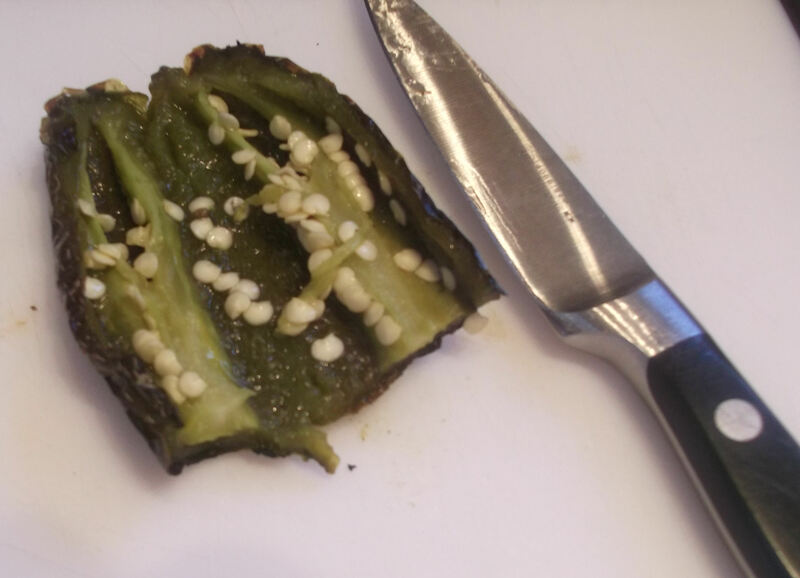 Cut off the stem end, and then gently slice down the middle of the pepper. Spread the pepper open and flatten it, skin side down. Gently scrape away the seeds and remaining seed pod with the side of a knife. 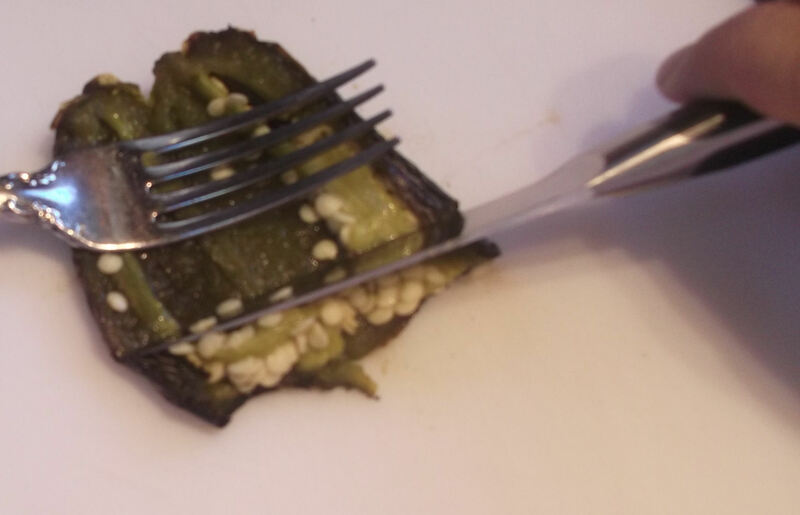 Use the back of a fork to hold the pepper in place while you scrape. Set the seeds aside in a discard pile. 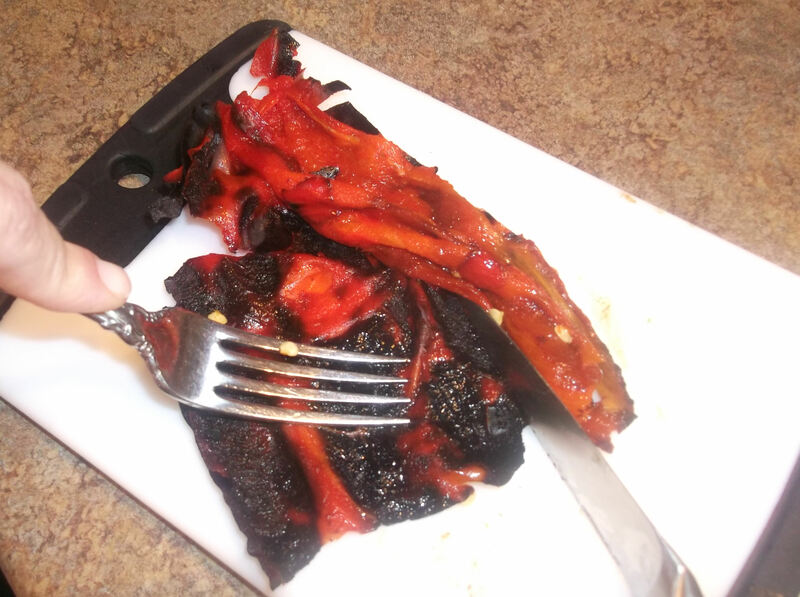 Now use the tines of the back of the fork to hold the charred skin in place, and gently scrape away the “meat” of the pepper using the knife. Note: this is where my camera batteries died, and by the time I replaced them, I had moved on to red peppers. Yes, this technique works on any color of hot pepper! Ease the “meat” of the pepper off the skin, holding the skin with the back of the fork. 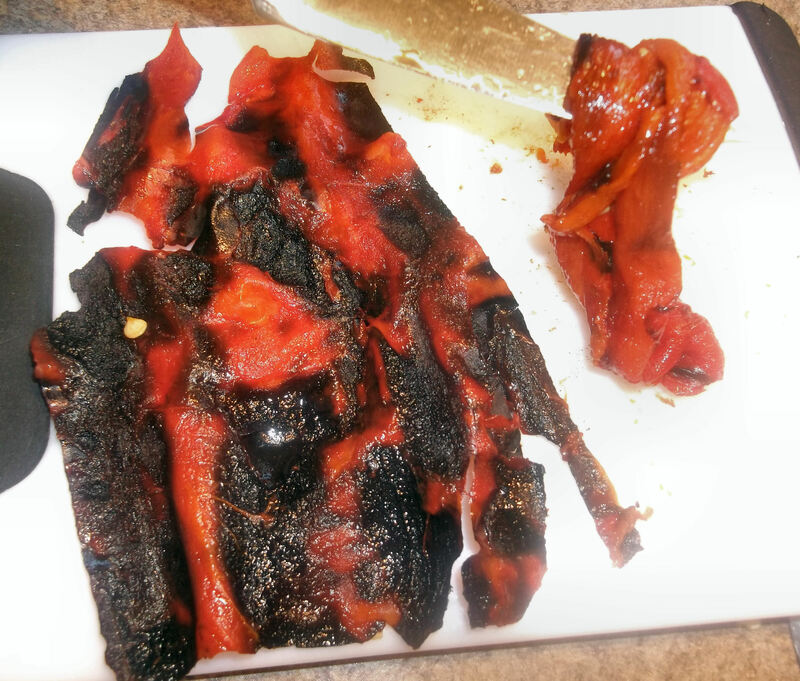 When you’re finished, you will have one charred, papery skin, and one lump of deliciousness that is roasted pepper. Set it aside and start on the next pepper. Some seeds or small bits of the charred skin might stick to the peppers, but that’s okay: it’s all great flavor. Don’t rinse the peppers, either, or you will lose their flavorful oils. The peppers will keep refrigerated for several days, or they can be frozen for later. When I freeze them, I spread them as flat as I can in a plastic bag so it’s easy to just break off what I need. Enjoy! Do you have any recipes using these roasted hot peppers? None that I’ve tried. I typically roast only a few at a time and freeze them, and add them as needed to soups, salsas, or especially chili. I did recently shred up some leftover pot roast and stir fried it with onions and some of these roasted peppers, and it was delicious rolled up in a tortilla! I think it would be an equally good way to use up leftover chicken. Yes, Christy! 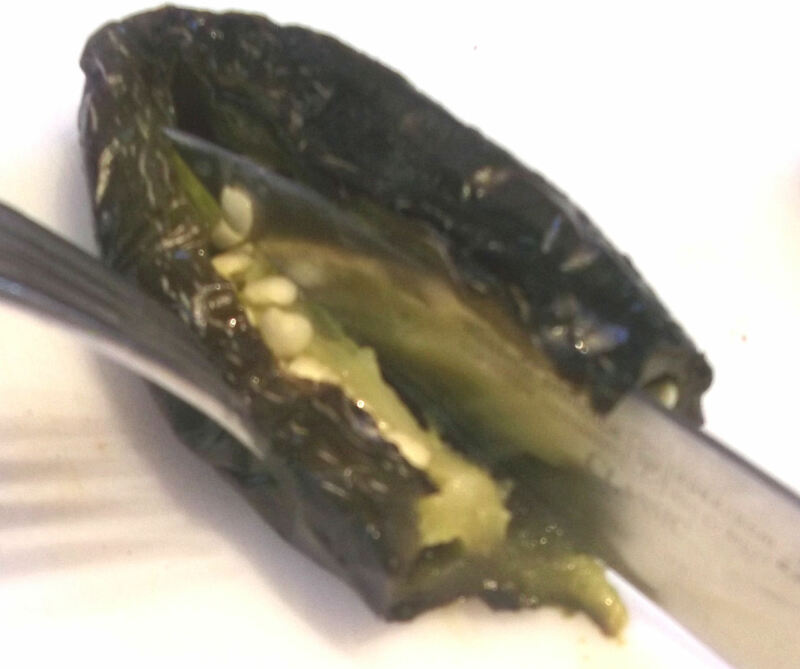 I finally got around to trying a green chile recipe from New Mexico – and loved it! Just posted it. I would love to! Please email me at dianefluin@gmail.com with more info. Thanks!